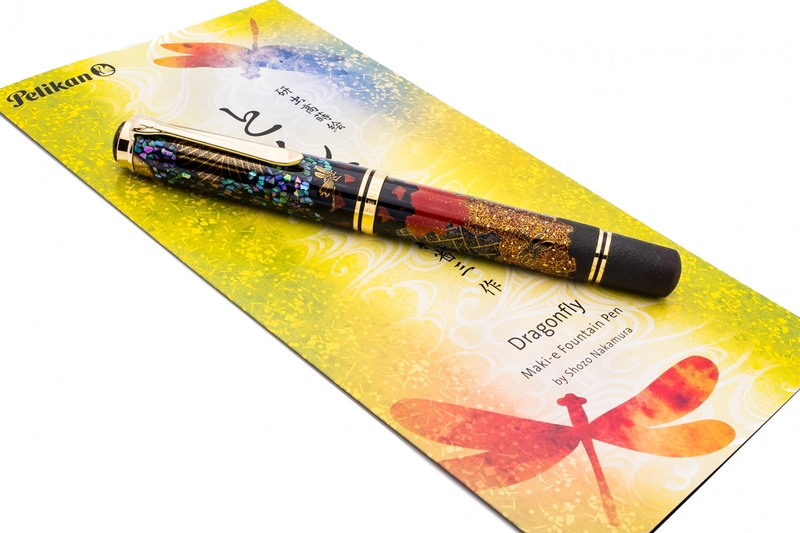 There are five dragonflies vividly drawn on the beautiful background of the fountain pen barrel. This background depicts ‘Tsugigami”, a traditional Japanese paper made by connecting various pieces of paper. 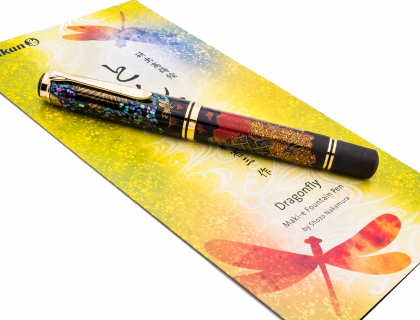 The image of the dragonfly is created by using many different Maki-e techniques such as Raden, Byakutan-nuri, Kawari- nuri and Togidashi-Taka-Maki-e. 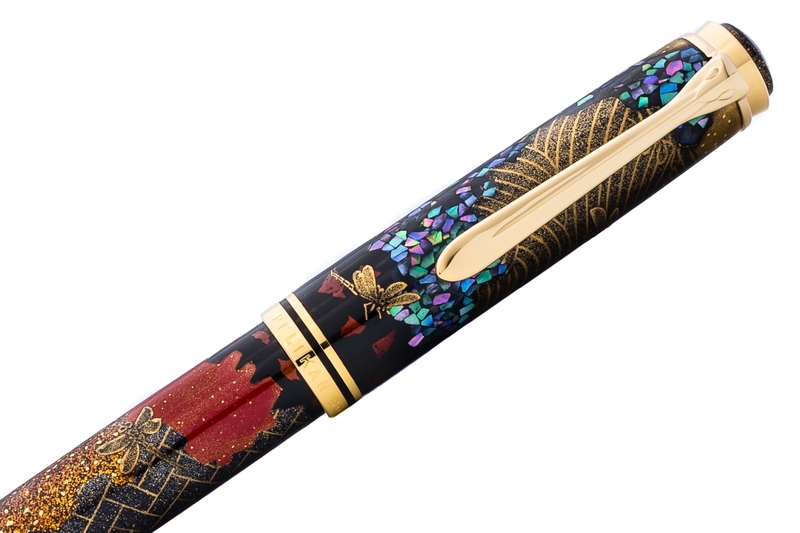 The “Dragonfly” is a masterpiece that combines the craftsmanship of Pelikan Germany based on 179 years of tradition and technology coupled with superior Japanese traditional Maki-e painting techniques. 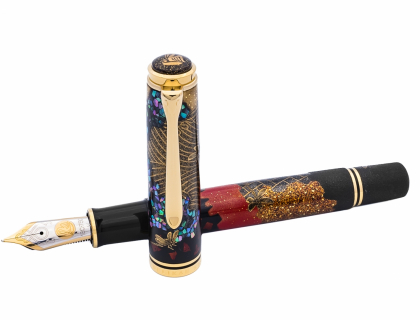 Each fountain pen has the Pelikan logo on the crown, a limited edition number and the artist’s signature drawn in by hand using Maki-e techniques. 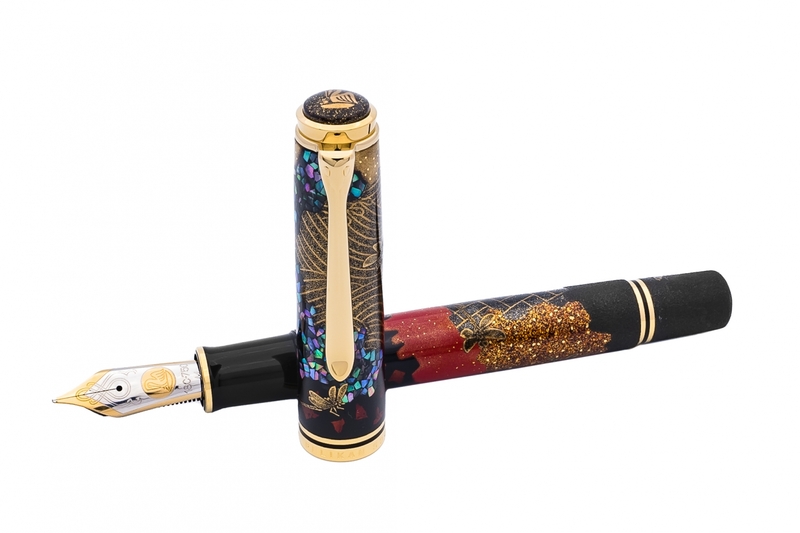 This series is limited to an edition of 111 pieces worldwide. 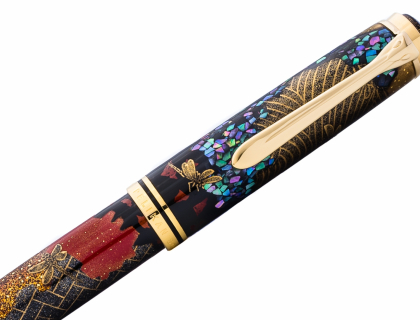 Each fountain pen is equipped with an 18 carat, two-tone gold nib and is encased in a traditional Japanese pen box made of paulownia wood.